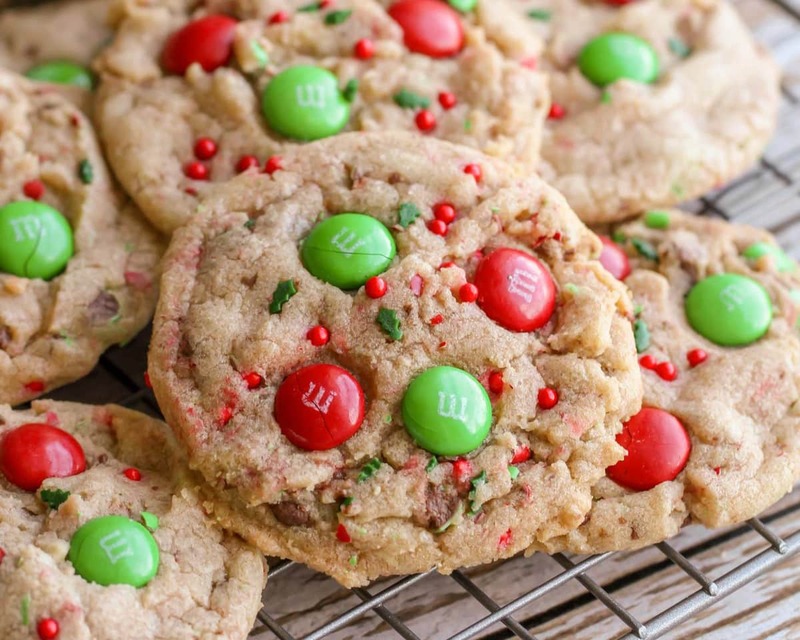 These are our family’s favorite Christmas cookie recipe! Not only are they delicious, but they are great for gifting to family, friends and neighbors or leaving out for Santa. One of our all-time favorite things to do this time of year is bake cookies!! It’s something we do all year long but something we especially look forward to during the holidays. Making treats and assembling plates for neighbors, friends and church members is a common occurrence and a tradition we look forward to each year. That is why I’m sharing this Christmas Cookies recipe today (modified off of our classic Chocolate Chip Cookie recipe), since it’s our favorite holiday treat to make and give this time of year. 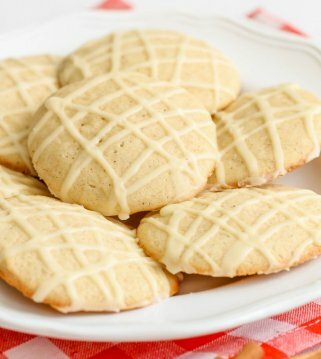 White Chocolate Dipped Cookies – Make the cookies without adding M&Ms or sprinkles to the batter. Let set and then dip in melted white chocolate and sprinkle with holiday sprinkles. 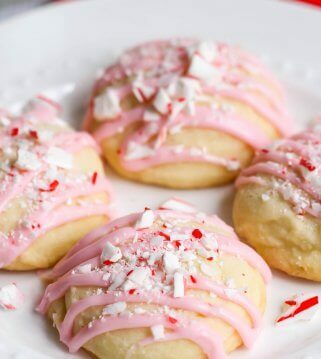 Candy Cane Bit Cookies – Make the cookies and add 1 tsp peppermint extract to the batter. Top with crushed candy canes and holiday chocolate chips. 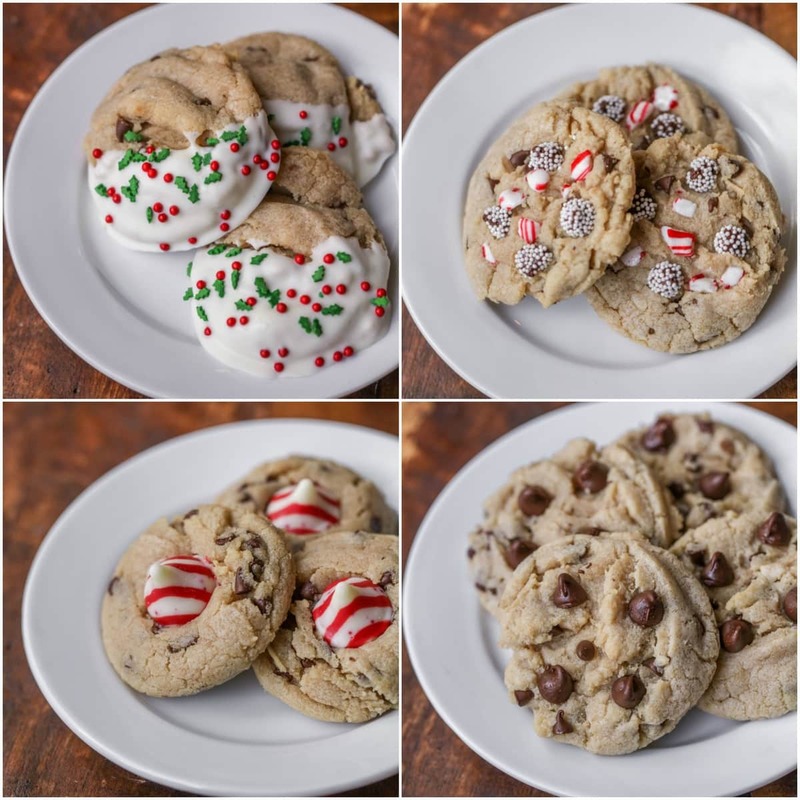 Candy Cane Kiss Cookies – Make the cookies with chocolate chips or peppermint chips and right after pulling them from the oven – add a Candy Cane Kiss! Chocolate Chip Cookies – can you really go wrong with the go-to classic recipe? I think not!! Like I said – so easy to change up! And all of these are perfect for the holidays. 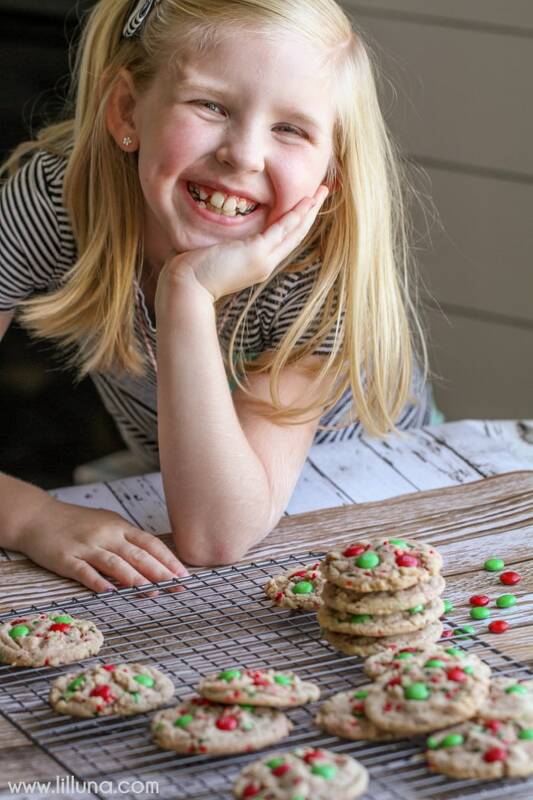 These are our family's favorite Christmas cookie recipe! Not only are they delicious, but they are great for gifting to family, friends and neighbors or leaving out for Santa. Preheat oven to 350. Cream butter, oil and sugars. Add eggs and beat until fluffy. Add baking soda, salt, powder, vanilla and flour. Mix well. Fold in sprinkles. Use cookie scoop to put on greased cookie tray. Top with 4-5 M&Ms. Those cookies look soooo yummy and fun to make! My son is 7, just the perfect age for cookie baking!! 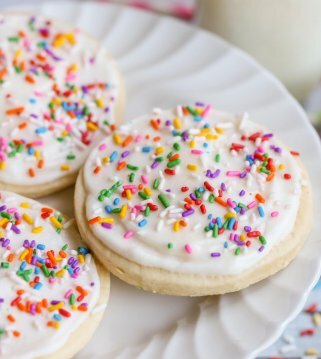 What brand/where did you find those cute holly berry and leaves sprinkles please? I found them at good ol’ Target! Right near all their Christmas plates and things. These came out wonderful… great recipe and they are so festive! 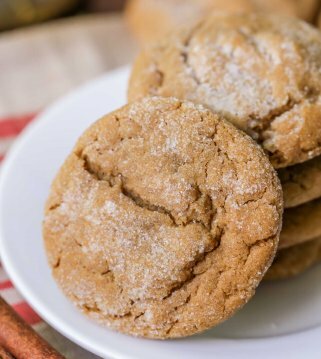 There are so many cookie recipes out there and I’m always nervous about trying new recipes but these are so great I will be adding to my recipe book! Thank you for sharing ! 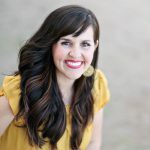 I`ve never been disappointed in one of Kristyns recipe`s!! My family loves them! You are so sweet!!! Thanks so much Mary!! Yay..I’m glad!! I hope you like these! Thanks so much! These cookies turned out beautiful and delicious. I made these to take to a ministry where toys were given out to kids in need. They cookies were on the table with many other kinds and these were most often first choice because they were so festive and attractive (and the m&m’s). Thanks for this wonderful recipe it was used to bless some precious kids. Each batch made 3 dozen cookies using a cookie scoop. They were very consistent and easy to make. I was so pleased with them ! Recipe perfect and timing as is ! That is wonderful!! Thank you so much for sharing that! Thank you! Yummy. I’m going to try them with my daughter. I’m glad I found this recipe! My cookies always go paper thin flat! These stayed plump and beautiful. Thank you!! I’m glad they stayed plump for you! Thanks so much! These are my favorite cookies to eat around Christmas time! 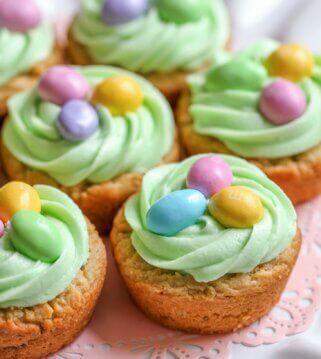 They’re so easy to make and they taste delicious! We made these cookies last year & I can’t wait to make them this year!! 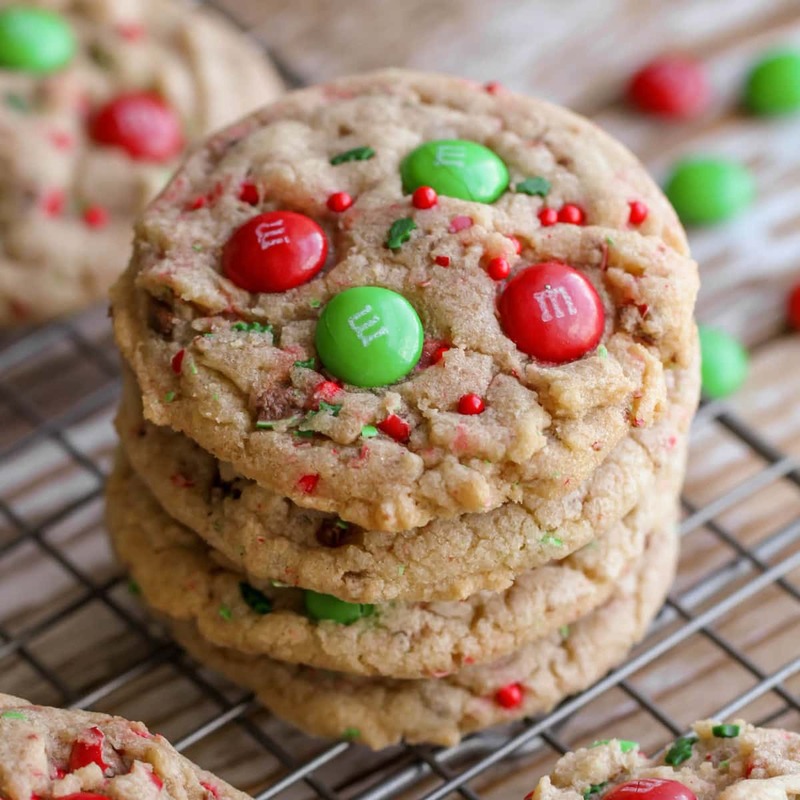 They are so festive & delicious & perfect for cookie exchanges! These were so fun to make. I love that you can change the m&m colors depending on the season/holiday. Can the dough be made the night before and refrigerated? Yes, it could 🙂 Enjoy!! I was wondering what the conversion of 1/2 cup batter equals in grams? Look festive and easy to make! I am not a baker! They really are! Thank you 🙂 I hope you give them a try! What type of oil works best? 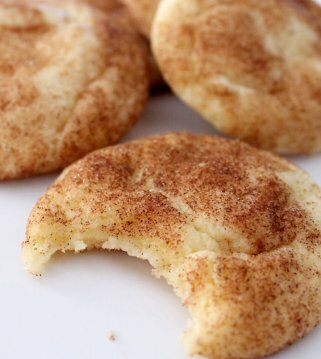 Who doesnt like a cookie that taste good and is easy to make? Not only is it pretty but you can change it to your liking. Perfect cookie for christmas giving! This looks delicious! I plan to use your recipe to make cookies this year. Does the M & M get baked also? Yes 🙂 I sure hope you like these! They are my fav! So darling! Can’t wait to makE with my kids. GreaT addition to the christmas cookie platter. I made these and they were super easy, but mind turned out a little salty? i know i only put in 1/2 tsp of salt, just like the recipe said…anyone have any idea why? was is because i used salted butter? I like to use unsalted butter when baking. That could be why. The main recipe doesn’t call for chocolate chips, yet i swear i see them in the photos. What gives? Could just be broken m&m’s. You could for sure add chocolate chips. Gotcha. Appreciate the prompt response, kristyn. Enjoy your holidays! Very tasty and cute! They are a hit in our house! I am so glad they are!! Thank you for letting me know! I just took a batch out of the oven. Are they supposed to be super soft, almost still undercooked? Will they harden when cold? They are soft, but they do harden a little when they set. You can always add a couple minutes, if they are too gooey. I dont havea cookie scoop. Would one table be the right measure? No right or wrong. Just use a regular sized spoon to get a scoop. You can really make them as big or as small as you want. I have made 135 of these over the past 3 days to give as Christmas gifts. This recipe is so easy. Decoration variation is endless. Thank you for a great recipe. I will be using it for years to come. Merry Christmas! These are delicious!!!! tested them out tonight before making them for a cookie exchange party, and wow!!! so good. i made some without m&ms and they’re great that way too. truly the perfect cookie. mine stayed very full and were the right amount of crispy on the outside but gooey on the inside. i baked them for a little longer. 350 for 9 minutes. they seem to get even more delicious as they settle. Yes, they do get more delicious! Thank you so much for giving them a try & for letting me know! mY GRANDKIDS ARE GOING TO LOVE THESE! dO YOU KNOW IF THESE FREEZE WELL? i’D LIKE TO MAKE THE COOKIE BALLS AHEAD, FREEZE THEN BAKE FOR A BIT LONGER THE DAY i NEED THEM. OR JUST MAKE THE COOKIES THE WEEK AHEAD AND FREEZE. aNY ADVICE? tHANK YOU! Yep, they should be ok 🙂 Have fun & enjoy! My batter turned out crumbly. Any idea why? I wish I knew for sure. I know too much flour, using margarine instead of butter, or over cooking can cause crumbly cookies. Did you happen to do any of those, if not, I’m not sure?? They aren’t a crumbly cookie, so they shouldn’t have turned out that way. Flavor turned out amazing, but same issue with mine, it turned out crumbly? and very dense when cooking them….I softened the butter in the microwave, would that cause crumbly batter/cookies? Was the butter melted? There are a few reasons cookies can become crumbly, like to much flour, over-baking, butter substitutes…but, I’m not sure what exactly caused yours to do that? Can you freeze these after making them? I just used vegetable oil 🙂 Enjoy! 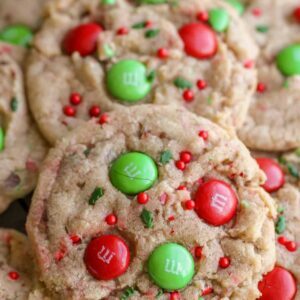 I lost my favorite recipe for christmas m&m cookies and stumbled upon this one. For some reason my cookies came out incredibly greasy/oily. They taste pretty good but definitely not something I feel comfortable sharing. Oh, I am sorry they did. They aren’t supposed to, so I am not sure what happened. Thank you for trying them! I was wondering if you could make these and use cookie cutters instead of the scoop ? Can I use Extra Virgin olive oil instead of vegetable oil? They look great I got kisses and such to make more versions of it. Nice to have a common base! Baking makes the world go around, and a little sweeter!!? I agree! I have not tried the extra virgin olive oil, so I am not sure if it would change the recipe. These turned out PERFECT. Crisp on the outside soft in the inside. Best To eat not too long after BAKED.Thanks for the recipe. Glad to share!! Thank you so much! I made these Christmas cookies, and they were abs d. I am making ahIn with peppermint choClYe bark. I made with candy cane hershey kiss, and they were ama. The baTter was delish. Imade with kinG auth flour. I am so glad you liked them! Thank you for sharing that! Yay!! So glad! Thank you for letting me know!